You all know and love the song. Even though it is dark and morbid for a holiday song. Grandma meets her demise by getting trampled by a reindeer. It solidifies the existence of Santa. 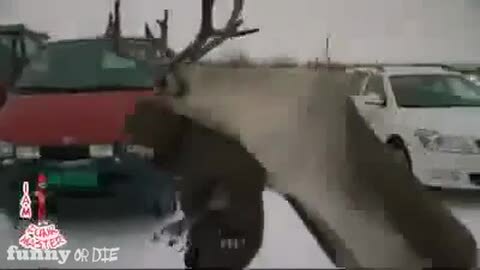 In today’s featured holiday video is footage of a lady literally getting run over by a reindeer.